Enter now to win for you and the school of your choice! The future of welding is bright – and during National Welding Month, you have the chance to win for yourself and the next generation. 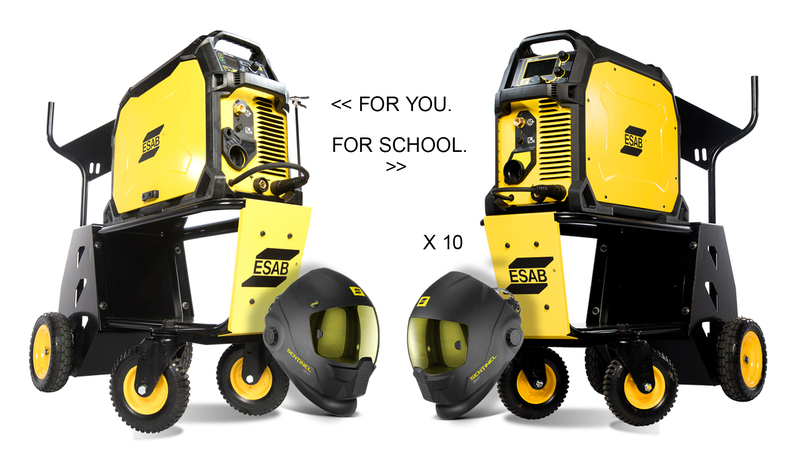 One lucky winner of the Weld It Forward Giveaway will receive a welding prize package that includes a Rebel EMP 235ic, Rebel welding cart and a Sentinel A50. In addition, they’ll also get to nominate the school of their choice to receive the same prize package and 10 Sentinel A50 helmets. Winner will be announced on our Facebook page May 3, 2019.